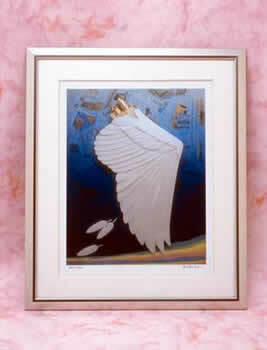 The web shop sells the original prints which an artist produced from paper sculpture works. HIROJI CHIBA take a picture of the original work and take an image in a PC, and the artist himself is the digital print which coordinated a color carefully. PC prints convey the atmosphere of the original work thoroughly, because that outputted with a high-definition inkjet printer. A photograph is a sample. You have a case unlike a photograph to the real frame. You can purchase works in an online shop on the Internet.